DAVID LE/Staff photo. 5/12/15. 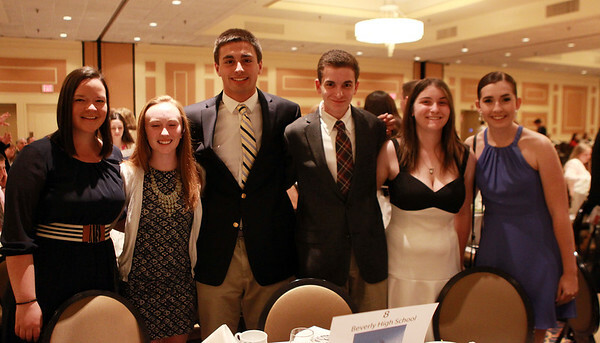 From left: Beverly High School seniors Katie Ryder, Catherine Sweeney, Nick Zelano, Tyler Palermo, Eileen Barrett at the 47th annual Honor Scholors Recognition Dinner held at the DoubleTree in Danvers on Tuesday evening.